In the nineteen-seventies, French troops needed a cross-country personnel carrier that would be fully armored to protect the occupants. Several French manufacturers (Berliet, Panhard and Saviem) devoted considerable resources to come up with the design of an armored personnel carrier. A test campaign was conducted in 1973 and it was finally the SAVIEM 4x4 armored personnel carrier that was chosen and 4,000 vehicles were sold to the army. It was the largest protected vehicle campaign since that of the Renault UE 31/37 light tracked armored carrier and prime mover of the nineteen-thirties. In 1996, 5,000 VABs were delivered to 14 different countries. The VAB was available in about thirty different versions to meet specific needs and adapt to new technologies. 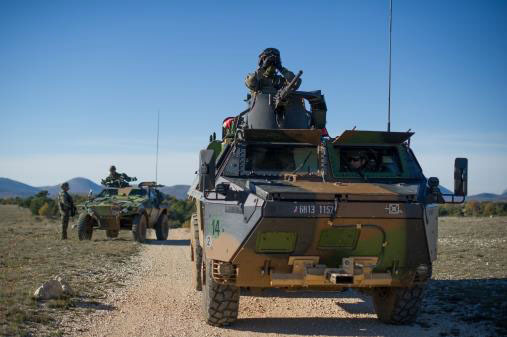 It is still widely used by the French army and is one of its “emblematic” vehicles. Livre : Jonathan Cany, VAB, l’histoire d’un blindé hors du commun, édition Cany, 2014.